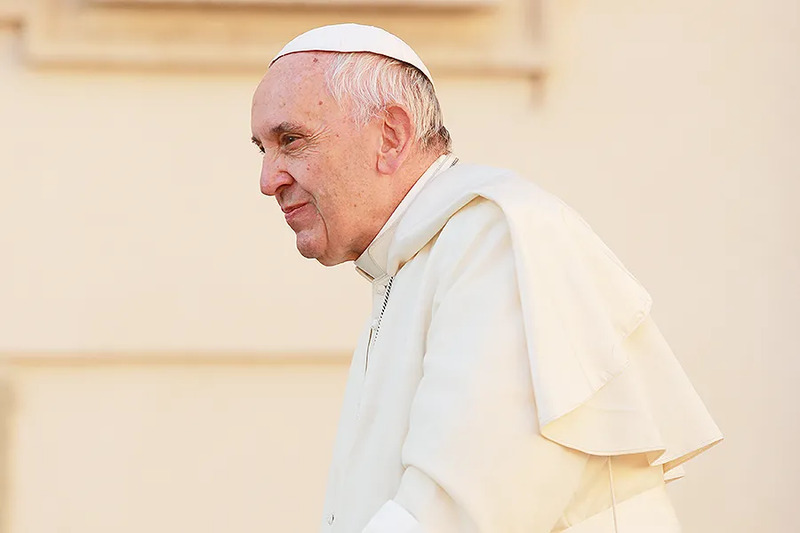 Washington D.C., Aug 3, 2018 / 01:30 pm (CNA).- Catholic theologians have weighed in on changes Pope Francis has made to the Catechism of the Catholic Church’s teaching on the death penalty, pointing to some unresolved questions about what, exactly, the changes mean. “The new formulation of number 2267 of the Catechism of the Catholic Church desires to give energy to a movement towards a decisive commitment to favor a mentality that recognizes the dignity of every human life and, in respectful dialogue with civil authorities, to encourage the creation of conditions that allow for the elimination of the death penalty where it is still in effect,” he wrote. Vatican City, Apr 3, 2017 / 11:23 am (CNA/EWTN News).- The Vatican has taken in three new Syrian families, some members of which were ISIS prisoners before gaining freedom and fleeing the country. According to an April 3 Vatican communique, the families – two of whom are Christian – took the place of the families welcomed by the Vatican last year, who with the help of various organizations have now become independent, and have moved out of their Vatican apartments. The decision to welcome them was made in response to the Pope’s Sept. 6, 2015, appeal for all European parishes, religious communities, monasteries and shrines to house one refugee family. At the time, the Pope said the two Vatican parishes – St. Peter’s Basilica and St. Anne’s parish – would also be hosting one family each. St. Peter’s Basilica provided an apartment for an Eritrean family, consisting of a mother and her five children. The family hosted by St. Anne’s parish was a Christian Syrian family, consisting of the parents and two children, who fled from the Syrian capital of Damascus and arrived in Italy the same day Pope Francis made his appeal. Both families had made their way to Greece, their homes having been bombed, and made it to Italy with the help of the “Humanitarian Corridors” project run by the Sant’Egidio Community and the Federation of Evangelical Churches in Italy to provide refugees safe passage without risking their lives in the Mediterranean. Numbering 13 people in total, the new families taking their place arrived at different times: one in February 2016 and two in March of this year. Of the two families who arrived in March, both suffered “kidnapping and other types of discrimination” because of their Christian faith. 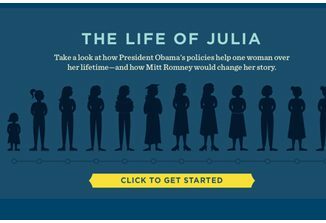 The first family is composed of a mother and her two adolescent children, their grandmother, an aunt and another Syrian woman who lives with them. The second family consists of a young couple and their newborn daughter, Stella, who was born two weeks ago in the apartment they are now living in. The third family, who arrived to Italy in February 2016, is Muslim and consists of parents and their two daughters, the eldest of whom is ill. However, the family has begun a process of integration in which both children attend school and their mother is enrolled in a graduate course for Intercultural Mediators,entering just a few days ago a program for career training. To date some 70 families, including those hosted by the Vatican, have arrived to Rome with the help of the Humanitarian Corridors project, totaling 145 people between them. Apart from the assurance of a warm welcome through various parishes, communities and associations, the families are accompanied after arriving by volunteers, who help them in the integration process, beginning with learning the Italian language. In addition to the families hosted by the Vatican, an additional 21 Syrian refugees – who came back with the Pope after his 2016 trip to Lesbos – receive economic assistance from the Holy See, and in some cases are hosted by religious or private families. This is a good and balanced article. I especially appreciate the comments of Father Petri and Dr. Miller. I think the revision of CCC 2267 brings into focus two proper Catholic desires: 1) the desire to be faithful to Catholic tradition; and 2) the desire to manifest religious assent to teachings of the Roman Pontiff and the Congregation for the Doctrine of the Faith. I agree with Dr. Miller that it’s not clear there ever was a definitive teaching on capital punishment in the Catholic tradition. But even if the death penalty is not intrinsically evil, there are many Christian principles and prudential considerations that make it inadmissible today. These principles and prudential considerations converge to support the conclusion present in the new wording of CCC 2267. I think faitful Catholics should manifest “religious submission of intellect and will” to this new formulation (cf. Lumen gentium, 25). To paraphrase Chesterton, it’s as if you might as well say that a certain teaching is admissible on Mondays, but is inadmissible on Tuesdays. Supporters cannot give an answer to a life and death question and Fastiggi’s comment doesn’t help. The patriarchate of Rome should be busy cleaning its own house rather than trying to police the state. Someone needs to give Professor Miller a trophy for the understatement of the year. If even informed Catholics are confused by the degree of papal authority that goes with this pronouncement, what about other Catholics who are less knowledgeable about faith and morals, as well as non-Catholics? Please pardon me, but I can’t help but respectfully wonder if this pope is an egomaniac to drop this bombshell without carefully clarifying the question of continuity with the past, as well as the degree of obedience required. I hate to say that, but I am shaken by this whole matter. What are my responsibilities as a sincere Catholic in relation to the pope concerning this matter, and other teachings? I’m actually angry at the pope for unsettling me like this, and I would guess causing all sorts of confusion around the world. (May God bless him.) It seems the dissenters are going to run wild with this “development” of doctrine — or whatever it is — claiming that other controversial teachings are about to change, too. As important as is the consideration of the death penalty, the understanding of proper obedience to the pope seems even more crucial. If true Catholics genuinely don’t know what to believe about Jesus, then how can we help to save others from the dangers of this world? I ask, even plead, for Catholic World Report to help us understand what is going on, how to make sense of this most perplexing of papal pronouncements. Although this seems a trial to me, I am hopeful that somehow we can make good of it by growing in our understanding of the papacy and the Catholic Church in a beneficial way. Jesus, I trust in you, but please help my lack of trust. You’re right to be concerned. If Francis is indeed a true Pope, he has just done something Popes are not able to do and so our religion has been falsified. The only logical understanding of this is that Francis is not a true Pope, for Popes cannot be heretics and change Church teaching. I encourage you to frequent Novus Ordo Watch and learn the true Faith more deeply there. My prayers for you. The apparent change to a dogma is actually here an attempt by the Pontiff to inject a policy that contradicts previous dogma stating the death penalty is a serious “violation of human dignity”. An argument no previous pontiff has held. It must be understood as a contradiction and nothing less. Therefore I disagree with Fr Petri OP that “his teaching authority [here] deserves a certain submission of will and intellect”. Theologians must be clear. What is a “certain” submission? It doesn’t comply with LG 25. 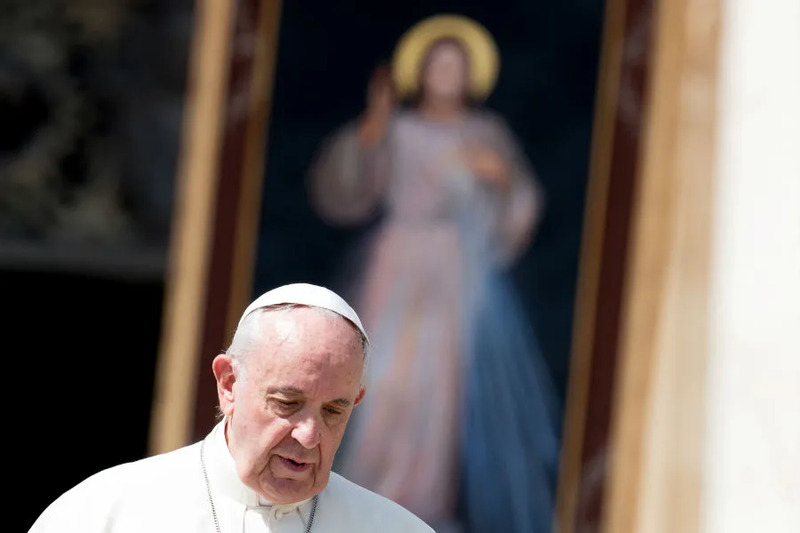 Pope Francis’ statement doesn’t meet the standard of a solemn pronouncement or a definitively held position [sententia definitive intenda] since it mentions no obligation to observe or penalty as does Paul VI on contraception in Humane Vitae. But if Pope Francis wished to offer a different “viewpoint” he would have stated it as such rather than clearly contradict what preceded. Consequently if the faithful were to offer “a certain submission of intellect” they must assume Pope Francis’ contradiction of previous doctrine is correct rather than simply “another viewpoint”. The danger in this form of intellectual manipulation is use of similar rationale and method to offer further “different viewpoints” on more essential Catholic doctrine. Thank you, Father Peter, for your welcome reply, which seems very well explained, and is very welcome to me (although these distinctions are still difficult for me to understand). The mischief of the pope’s apparent recklessness is further illustrated in the misguided comment by Patrick, who appears to be a good person. What a mess this is likely to be as far as further driving away traditional Catholics who go a little too far in their orthodoxy by rejecting Vatican II and our recent popes; while at the same time dissenters are likely to run amok waving this pronouncement in our parishes and on the news telling vulnerable laity that an acceptance of contraception and abortion and gay marriage by the Church is just around the corner. Finally, it would have been appreciated if Catholic World Report (CWR) would have responded to my attempt at reaching out for help. CWR is a good resource, but to me it often seems remote. It doesn’t even seem to encourage discussion between readers. I see no contradiction between pastoral compassion and solid doctrine. A spoonful of sugar does help the medicine go down. There’s no need to dilute the medicine — but it’s good to remember that the medicine is often difficult to take for even those who are well-meaning and willing. It sure helps when our teachers reach out a friendly hand of camaraderie and encouragement to those of us struggling to understand and practice our common faith. Please pardon me if I’m off base or out of line, but I have sincerely tried to offer this perception in a spirit of Christian love. Steve CWR does address issues honestly with the intent of being an honest journalistic broker for open discussion. Although the editor do on occasion identify with Tradition. In that vein I can understand avoiding the perception that their purpose is to repudiate the Vatican. There are some sites that do precisely that and all you get is constant attack and little room for discussion. There are some excellent contributors like Fr Stravinskas who would be better disposed to offer pastoral advice. As for my own approach if anyone asks my first premise is remain within the Apostolic Tradition which is the only doctrine pronounced Magisterially. Nothing the Pontiff has said that appears opposed is actually binding doctrine. Hello Steve! You certainly express yourself very well. I was quite upset to read of your situation. I am not a scholar and, cannot give you a scholars response. However! With the present situation of the Church in mind, there is a prayer I say, taken from one of the Psalms. “God of hosts, turn again, we implore, look down from heaven and see. Visit this vine and protect it, the vine your right hand has planted”. We use the Jerusalem Bible translation in Australian liturgical texts. It’s taken from their. I think the Psalms are a treasure trove. There’s something for every situation, to draw us closer to God. If you haven’t already; search and see. Jesus Our Lord knows His sheep. They are brothers and sisters, who suffer with and for each other. Sometimes it’s hard to see but, you’re truly not alone. Thank you so very much, Stephen, for your good words, including a reminder that God will take good care of the Catholic Church which is his creation. I’m also glad to be reminded of the great reach of this Church throughout time and across the earth, and the great solidarity given to us by the Holy Spirit, so that a spiritual brother of mine from Australia (with the same name) would reach out in kindness to bring me comfort and good cheer. May Jesus bless you, Stephen, and all of your countrymen. Thanks again. Should have said: liturgical texts in Australia. Thank you Father Peter, me too as an ordinary catholic was looking for an answer without having to jump hoops to justify this change or know what to do. “The danger in this form of intellectual manipulation is use of similar rationale and method to offer further “different viewpoints” on more essential Catholic doctrine.” … this is important to know since we have seen a pattern of this in Pope Francis administration i.e. communion for the divorced, so Theologians MUST be clear to state that it must be understood as a contradiction and nothing less. In the past, the Church would seem to have explicitly supported the idea of “just punishment”… this change of doctrine regardless the pet name “development of doctrine” must be done by the Magisterium, does it not? Precisely. Since it isn’t it’s not binding. Therefore we’re obliged to follow Magisterial pronouncements, doctrine contained in the Apostolic Tradition which both predecessors of Francis follow. Pope Francis avoids this for his own reasons perhaps knowing God would not permit it. Nonetheless he’s managed to influence the Church in change of practice that contradicts established doctrine.